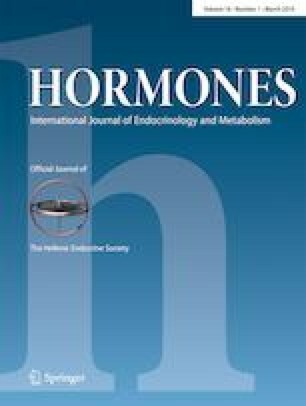 The corticotrophin-releasing factor (CRF) and its type 1 receptor (CRF1R) regulate the hypothalamic-pituitary-adrenal axis, as well as other systems, thus playing a crucial role in the maintenance of homeostasis. Non-peptide CRF1R-selective antagonists exert therapeutic effects on experimental animals with abnormal regulation of their homeostatic mechanisms. However, none of them is as yet in clinical use. In an effort to develop novel small non-peptide CRF1R-selective antagonists, we have synthesized a series of substituted pyrimidines described in a previous study. These small molecules bind to CRF1R, with analog 3 having the highest affinity. Characteristic structural features of analog 3 are a N,N-bis(methoxyethyl)amino group at position 6 and a methyl in the alkythiol group at position 5. Based on the binding profile of analog 3, we selected it in the present study for further pharmacological characterization. The results of this study suggest that analog 3 is a potent CRF1R-selective antagonist, blocking the ability of sauvagine, a CRF-related peptide, to stimulate cAMP accumulation in HEK 293 cells via activation of CRF1R, but not via CRF2R. Moreover, analog 3 blocked sauvagine to stimulate the proliferation of macrophages, further supporting its antagonistic properties. We have also constructed molecular models of CRF1R to examine the interactions of this receptor with analog 3 and antalarmin, a prototype CRF1R-selective non-peptide antagonist, which lacks the characteristic structural features of analog 3. Our data facilitate the design of novel non-peptide CRF1R antagonists for clinical use. Stelios Sakellaris and Minos-Timotheos Matsoukas contributed equally to this work. This work was supported by ELKE grant K.A. 4373 (George Liapakis) and ELKE grant K.A. 3330 (Andrew Margioris).